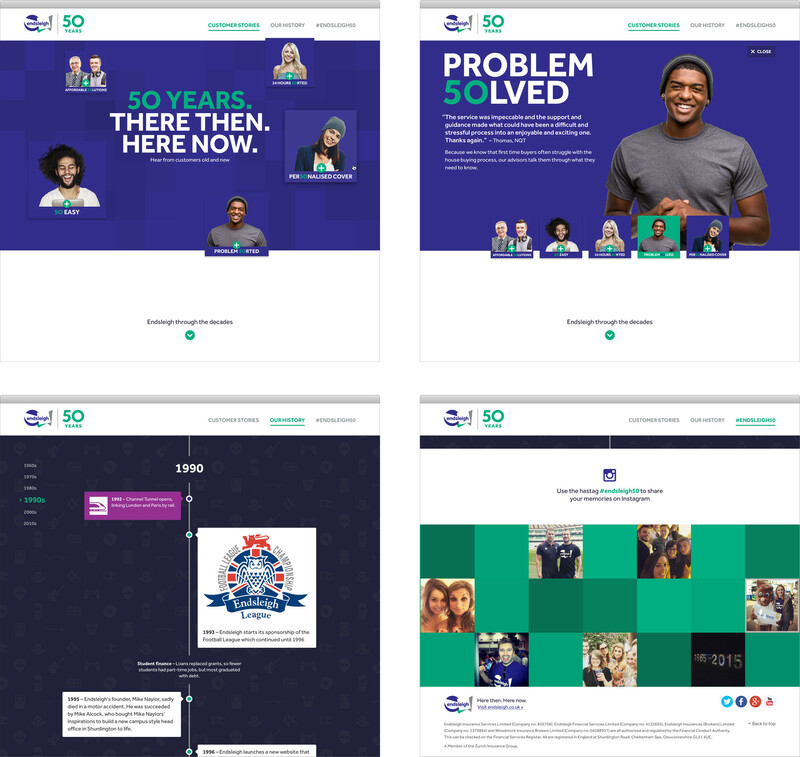 Together with Endsleigh Insurance, the UK’s leading student insurance company, we created a digital timeline to showcase milestones, quotes and media from the archives of their 50 years of history. Though we were up against quite the deadline, the project was a blast to work on — weighing in at just under a month from start to finish. We began by sifting through archives of content, deciding on the most important and prototyping a solid site structure to hold it all together. Once we got some high level design deliverables signed off, we broke the to-do list into manageable chunks and ran (sprinted!) through nine cycles of design and development iterations to get the project ready for launch. The highlight of it all was probably getting to press the big red ​“launch button” under one roof, which is a rare occasion for Good Work as our team is located across the US, England, and France. As a nice mid-project touch, we also created custom icons to tile the backgrounds of the decades — from peace signs and lava lamps to emojis and hashtags. We launched this project in 2015, shortly after completing a full website redesign project for end​sleigh​.co​.uk with Erskine Design. View more of our recent work on our work page.